So once again I have been in the office most of today working on the financials. Its hard to believe that I have less than two weeks remaining here. Where has the time gone? As today is thursday, we all know what that means by now.... 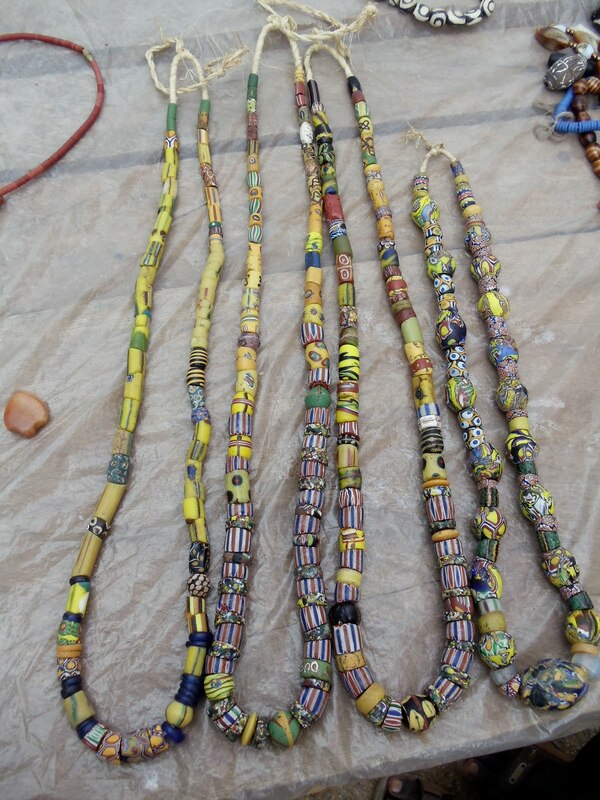 The Kofforidua Bead Market. 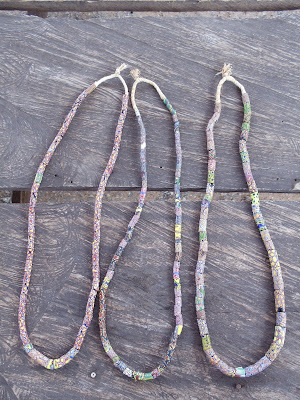 Although I have already purchased a lot of beads, the bead market is still a nice excuse to get out of the office for a little bit. So one type of bead that that I have frequently seen at the Koff-twon bead market is the Millefiori (Italian for "thousand flowers") bead, better known as African trade beads. 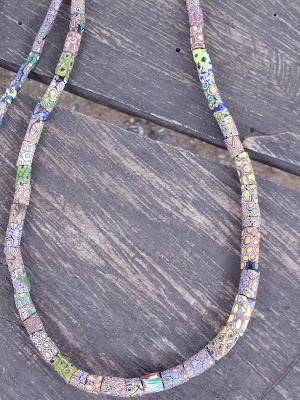 Although Millefiori is not the only type of African trade bead, it is the most common. 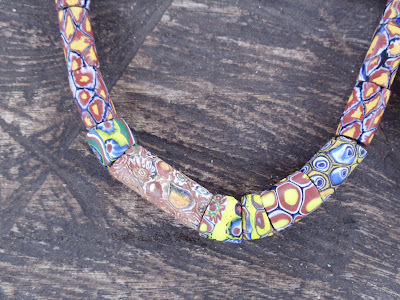 Therefore, when you here someone refer to African trade beads, chances are htey are referring to the Millefiori bead. 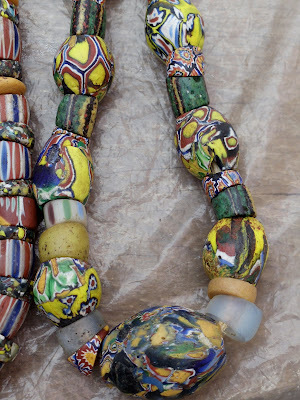 According to wikipedia "Slave beads (often called Trade beads) were otherwise decorative glass beads used between the 16th and 20th century as a currency to exchange for goods, services, and slaves (hence the name). 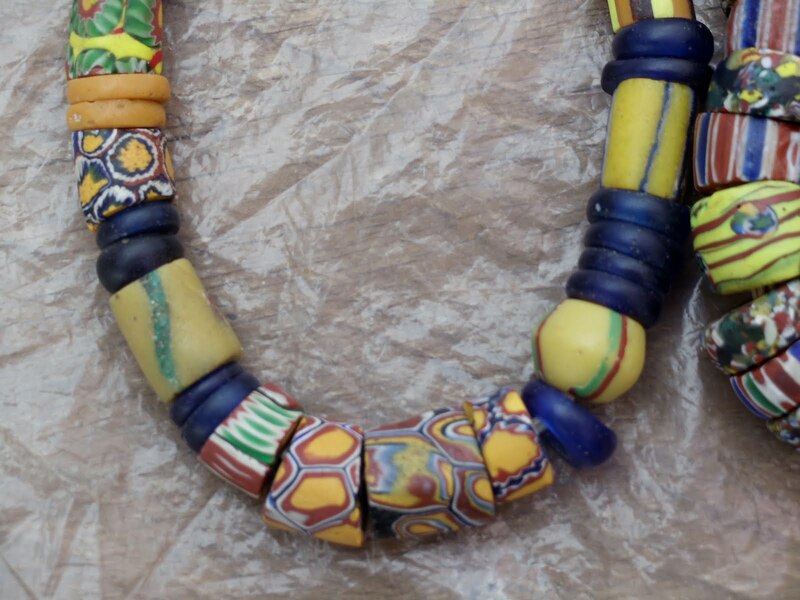 Made to ease the passage of European explorers and then traders mainly across the African continents, the beads were made throughout Europe although the Venetians dominated productions. The production of slave (trade) beads became so popular that literally tons of these beads were used for this purpose. Beads were used as ballast in slave/trade ships for the outbound trip [to Africa]. The beads and other items were exchanged for human cargo as well as ivory, gold, and other goods desired in Europe and around the world. 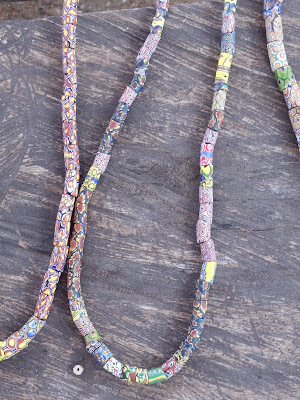 Millefiori (thousand flower) beads from Venice, Italy were one of the most commonly traded beads, and are commonly known as "African trade beads." They were produced by creating flower or stripes from glass canes, that were then cut and moulded onto a core of solid color." 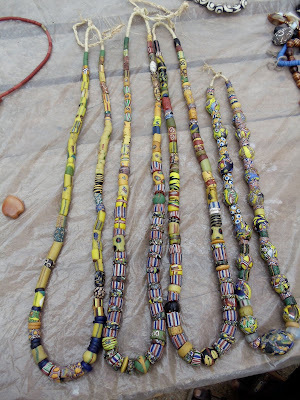 Now that you have had your history lesson for the day, enjoy the photos of some of the trade beads that I found in the market today. 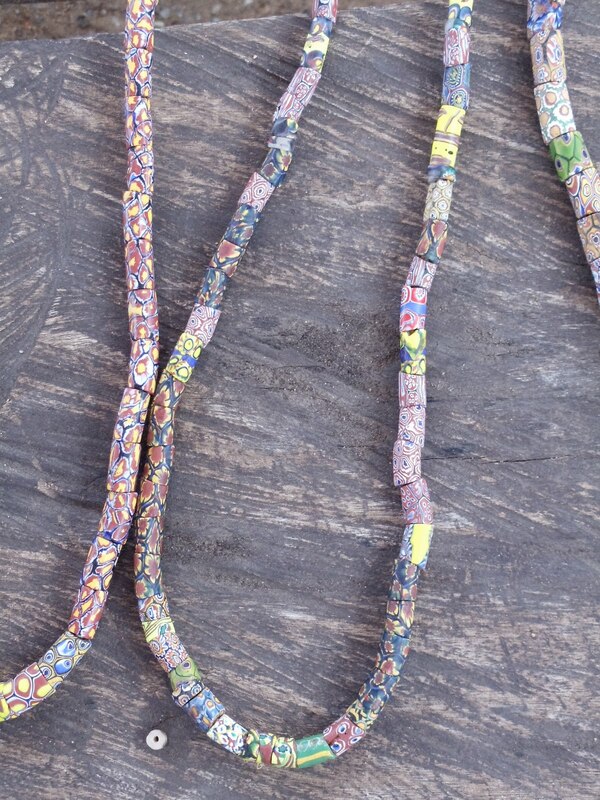 The beads are so beautiful. Great pictures! in a textbook. It would show at about 2 in high and be credited in the legend immediately below, to your name/location/URL/whatever you would like to add. Would I have your permission for that? I can also be contacted at thechabon aaatttt hotmail dddddotttt com.